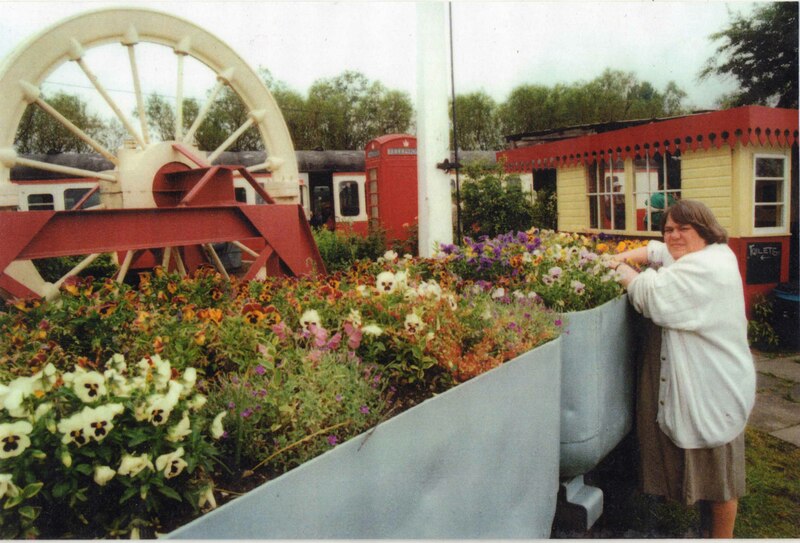 While going through an old photograph album, David Bathurst came across some black and white photos of ‘Sans Pareil’ on one of her visits to Chasewater Railway, round about 2000 – 2002. Another from Steve Organ’s collection – the man himself! On the right track! 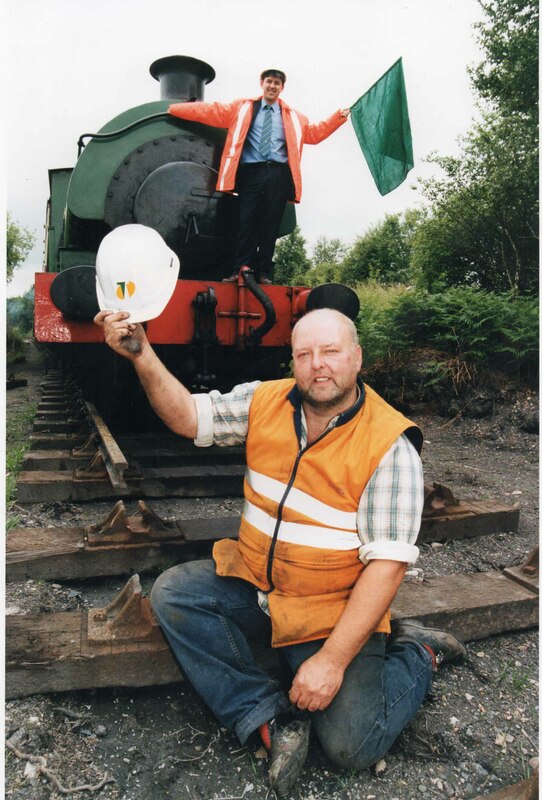 Chasewater Railway General Manager Steve Organ cheers the news that the line extension can continue as Lorne Grey, who is in charge of Centrac’s recycling operations, gives the project the green flag. July 1998. 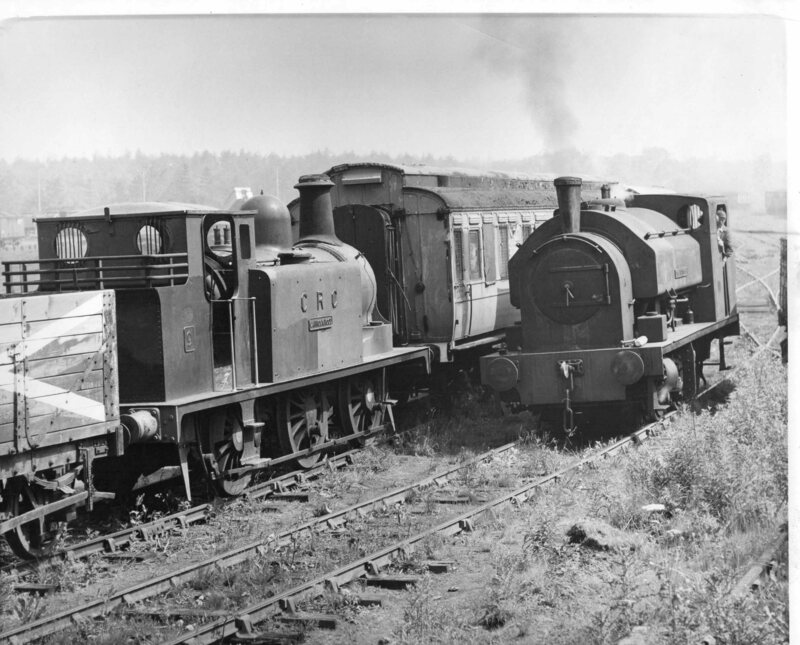 We have been given some more old photos, I think from Steve Organ’s collection. 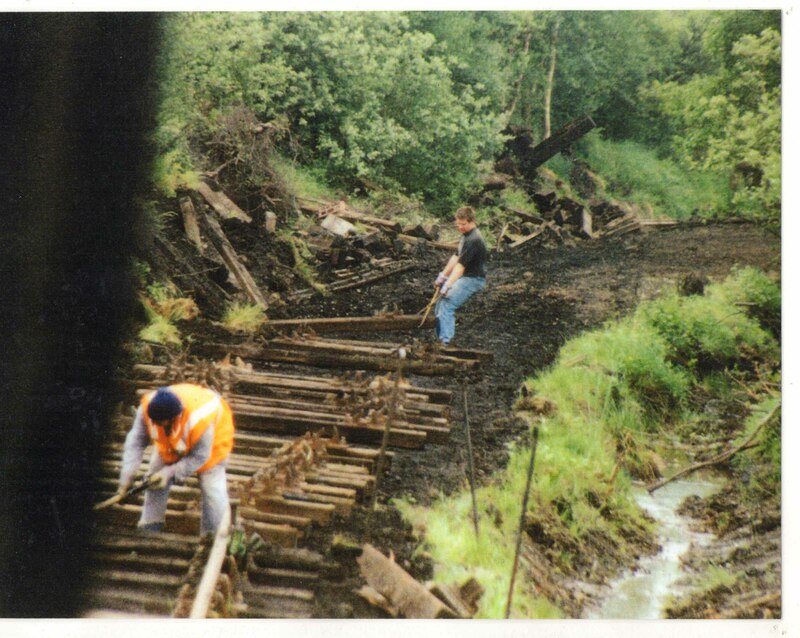 These are some photos of the causeway in the early days at Chasewater Railway . In 1982 the Preservation Society was forced to lift the track on the Causeway and commence work on an ambitious rebuilding scheme. 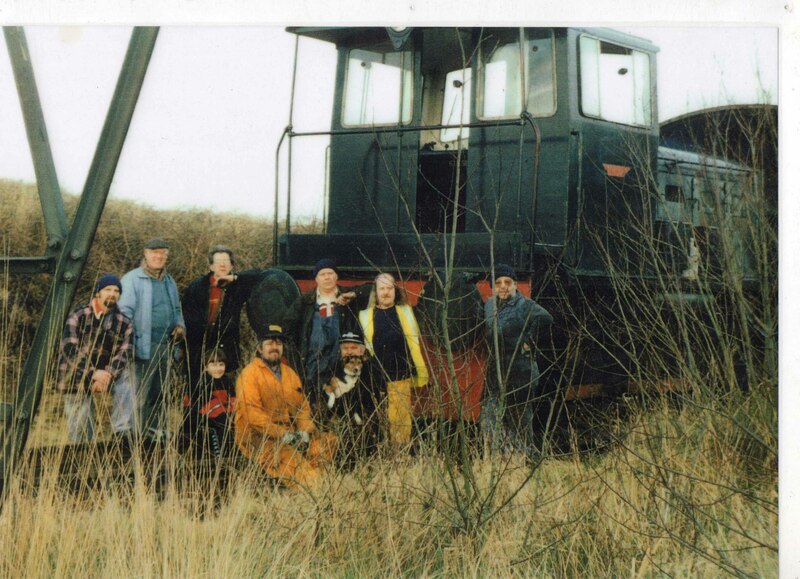 Sadly owing to the Society’s finances and lack of support, the scheme collapsed and the Preservation Society was forced to close to passenger traffic for a number of years, even though work continued on basic restoration at the Brownhills West site. A scheme to restore the Causeway commenced in May 1993, with the basic engineering elements being completed some 11 months later. Approx. 120,000 tons of fill material were imported on to the site for grading and compaction. With the completion of one of the largest civil engineering schemes in railway preservation to be carried out to date, work was able to proceed with the opening of Norton Lakeside Station. The station was opened in December 1995. The bridge through the causeway – long before the culverts! Not sure of the location of this photo. Going round the bend (!) towards Chasewater Heaths. Looks like Arthur Edwards in Hi-Viz, don’t know the other chap – sorry. A shot of the pld Brownhills West station with, I believe, Kim Wilkins. P.Way gang with DL7, I think. There are two chaps who I don’t know, those I do know are Arthur Edwards, David Bathurst, the 2 don’t knows, then Dave Pearson, Les Emery and, at the front, a young helper, Jim Bates and Andy Clegg – not forgetting Beckie. More Photographs from Steve Organ’s Collection. The XL list shows all the photos in Box File 10149. The collection has been with the Museum for some time, many taken by Steve Organ. There are a lot of very similar photos so we have tried to sort out the ones which are not duplicated. The first selection shows ‘Sans Pareil’ which visited Chasewater on a couple of occasions in the early 2000s. Caption text – Object No., Description, Location.